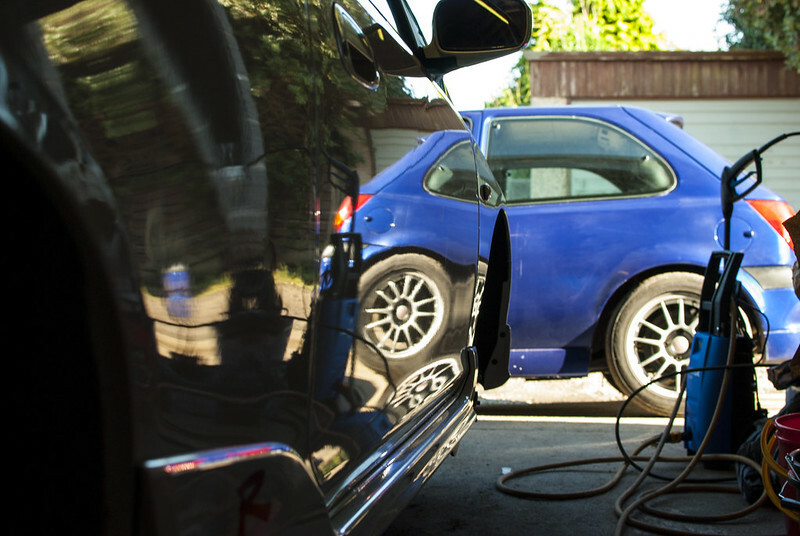 For years now, car manufacturers have been taking their base models and ‘fettling’ with them to enhance performance, stiffening the suspension, adding power and removing weight, all in the name of outdoing their rivals. 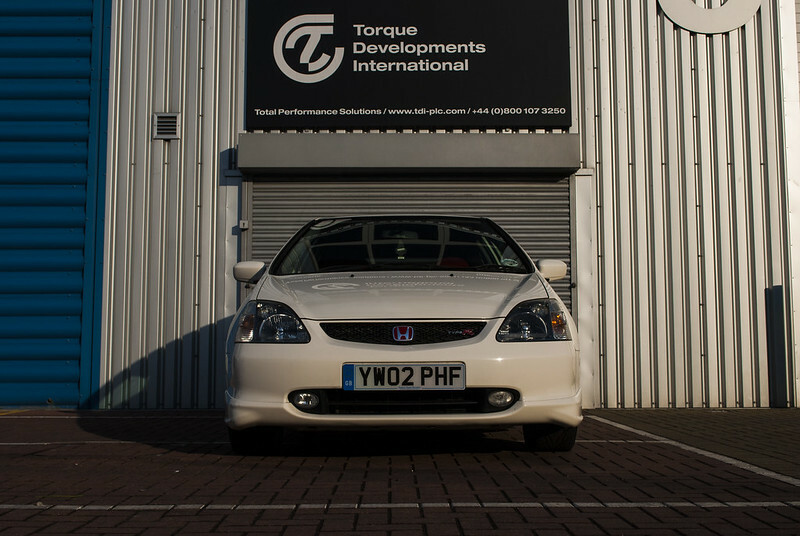 Honda has never been an exception to this rule, their Type-R brand is synonymous with racing the world over and that passion was injected into their grocery getter, the Civic. Here in the UK, our Type-R models were good. In Japan, they are great. 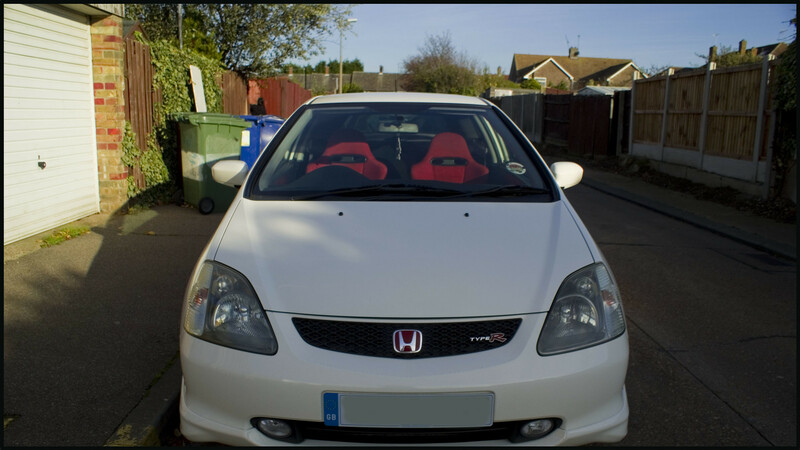 It’s for that very reason that I’d always wanted to own an EP3 Type-R, so when I was in the market for one and a friend spotted an import at a very reasonable price, not a million miles away, I was there in a heartbeat. There are, of course, others, but they’re the big ones. I already had a few plans for the car as soon as I got it, I’d already spent countless hours searching youtube for the exhaust sound I was after and decided on the Spoon N1, I think it has the right note without being too loud and raspy. What do you think? Of course I didn’t stop there, who can, right? I’d fallen in love with the sound of the carbon airbox replacement from Tegiwa, and managed to source one from a member of an owners club. 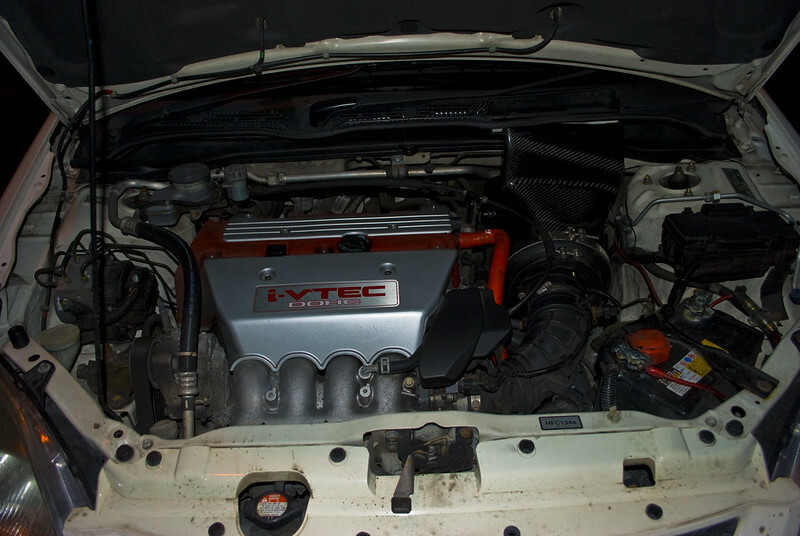 With a bit of fiddling and plenty of swearing, me and a friend got it fitted, it certainly saved a lot of space in the engine bay! 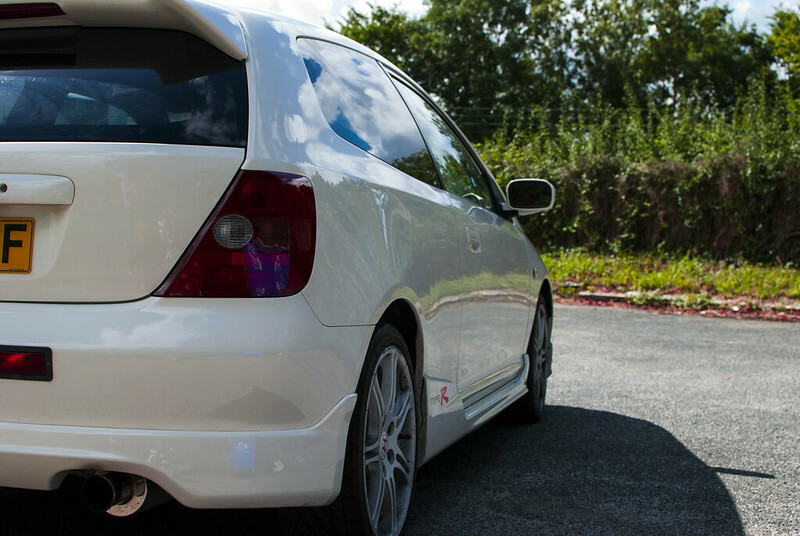 Evidently, we had to take it for a spin, we were…unprepared for the difference in sound after vtec crossover…. Quite a difference, eh? As you can imagine, many many a tunnel run was had over the time I owned it! Here’s a little sample of the sound from the outside. So since I’d got the two main mods I wanted, I continued to drive it and enjoy every minute, maintaining it meticulously, detailing it to bring it back to it’s former glory, which caused me to do rather strange things. 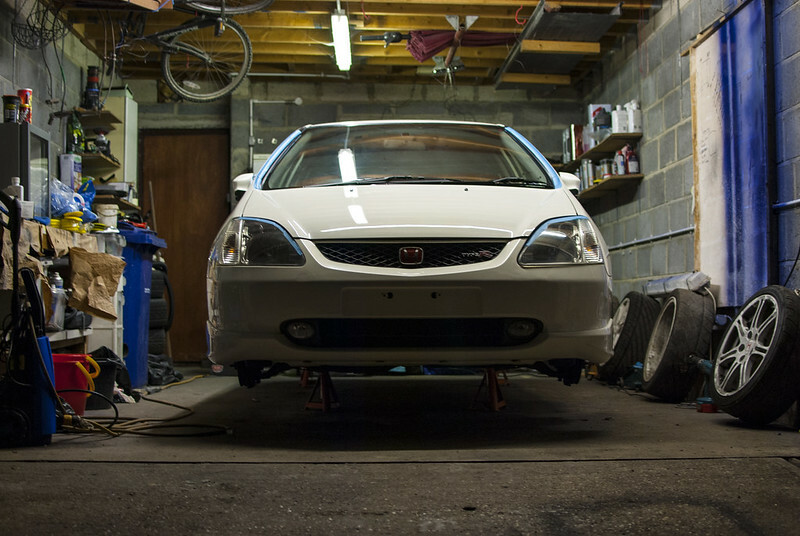 Locking myself in a garage for 2-3 days with nothing but the car, a friend and cleaning supplies, we set about detailing the Civic so it would be ready for summer road trips and late night meets with friends. We worked long into the nights where possible and eventually got the car to a standard I felt was good enough for this wonderful machine. Now I felt like it was ready for some B road blasts! I’ve built a route in a county nearby which I’ve used again and again with friends to enjoy our cars. It has it all, twisty sections, fast flowing corners and plenty of good visibility, it’s a haven! Every visit yielded a good day driving and supercar spotting, what could be better? The Civic was in it’s element, it might not be the most powerful car, but on roads like that, power isn’t everything.The LSD’s working away to drag you back into the apex, a lack of weight makes it easy to change direction quickly and the direct gear shifts make you feel like a racing driver, especially with the position of the lever! In my opinion, the best way to describe the car is like a terrier who you’ve just told it’s time for a walk, excited, eager and enthusiastic, that’s absolutely what the car is, yapping away, urging you on, just another stretch of road, just another country lane, it’s totally exhilarating. I recall on one of those trips with a couple of friends, we were zipping through some lanes when we came across an an eye catching car, a 430 Scuderia. Now obviously I’m not going to claim the Civic was any match for such a beast, but we had a little play with it through the British countryside and to be fair to us, we did OK. It was all in good spirits and that what’s driving’s about, having fun with fellow car owners and enjoying yourself. 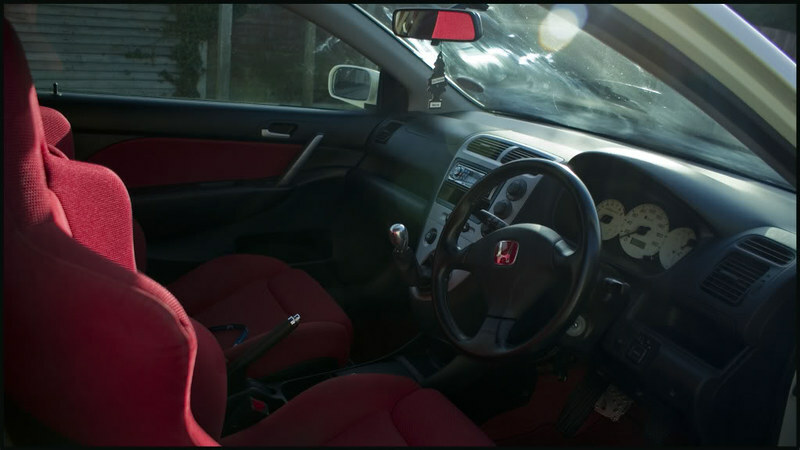 It’s exactly moments like that which made the Civic so special, you had to work pretty hard to stick with more powerful cars and when you got it right, it was magic, shifting just before the 9000rpm redline, inducing a little lift of oversteer, for those few minutes, you were a driving god! So what happened to the Civic? I had other cars to tick off the list and felt it was time to part ways, I deeply regret it now, but I absolutely insist that any petrol head must own a Type-R of some incarnation at one point or another, it’s quite simply the most engaging and rewarding car I have ever driven and I miss it dearly, not only for the drive, but for the memories it’s left me. No way! That’s mad! I loved that car so much. Where abouts in the world are you? Would love to know where it ended up! Shocked me when I seen the registration but it looks like you looked after her 😁 I treat her quite similar tbf. Bought her April 2015 from a dealer and shes never skipped a beat pal. Spalding, England mate. Got her with no mods and what’s even stranger is I’ve done the same mods 🙈 Tegiwa intake. Genuine Spoon B pipe and Genuine Spoon N1 tail. Only difference is she’s got oem gloss black alloys on for winter reasons 😂 still got the oem white ones in the garage for summer 😀.